The Medical Sciences department announced on Twitter that it was the 4th year student Rebecca te Water Naude that helped a man safely exit a train on the 28th of March when his Parkinson’s medication failed. 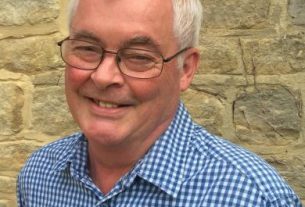 David Murray, Patient Advocate and Trustee of the Cure Parkinson’s Trust had taken to Twitter to ask for help in finding the woman who helped him. The tweet received a massive response with tens of thousands of retweets and likes, some replies appreciating the ‘human kindness’ the student had shown, while others were concerned about the lack of staff at hand to help disabled passengers on train services. Oxford University replied to David’s tweet, saying: “Hi David, We’re so glad she stopped to help and hope you are feeling better. We’ll put our feelers out and see if we can track her down!”. The Medical Sciences department shared David’s message to help him reach the student, and yesterday announced they have put the two in touch.